The GEG German Estate Group AG has just completed the first major lease for the Global Tower in the center of the Frankfurt banking district: the co-working provider Spaces, a subsidiary of the listed IWG (International Workspace Group), will have a total of 9,170 square meters (98,705 square feet) in the Global Tower rent and move in the fall of 2020. 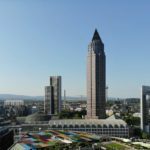 It is the largest co-working contract, which was completed in 2018 in Frankfurt. 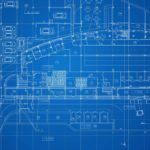 Spaces provides the potential users with around 700 flexible workplaces, which in addition to jobs in the open co-working area also include individual offices and team offices. A spacious meeting and event area, the 4th floor rooftop terrace for events for up to 200 people, and the Global Forum event and conference room, which seats up to 500 people, will add to the conference offer in the city center. An integrated business club with an attached café / bistro, which serves as a central point of contact for all users, but is also open to external guests, completes the offer. The real estate broker NAI apollo acted as intermediary for the tenant and BNP Paribas Real Estate GmbH for the GEG. 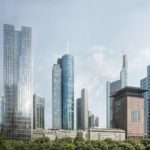 The GEG German Estate Group AG from Frankfurt has acquired the Garden Tower in the center of Frankfurt’s banking district. The skyscraper can be found in the Neue Mainzer Strasse 46-50 (corner Neue Schlesingergasse). The total investment volume is around EUR 275 million. 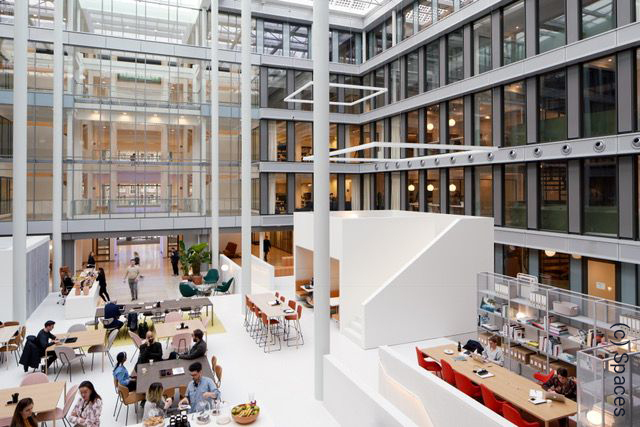 The three main tenants on the 27,500 square meters (296,000 square feet) of rentable office space are Société Générale (31%), AIG Europe Limited, Directorate for Germany (14%) and the co-working provider Tribes (10%). The building is currently let by 95 percent. 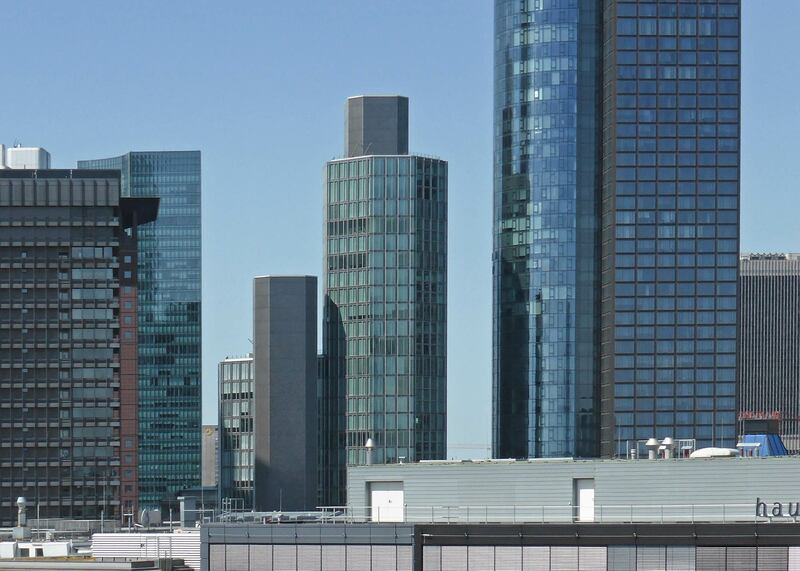 With the Development Global Tower under construction, the Japan Center (acquired at the end of 2017), the GEG is now present in the center of Frankfurt’s financial district with three distinctive top properties (total investment volume of over EUR 850 million).